According to the Ministry of Youth and Sports, the Centers for Protection of Children in Morocco are those spaces that are responsible for the re-education of juvenile delinquents, who are referred by the judicial authorities in accordance with the requirements of the Criminal Procedure law. These centers also provide these young people’s educational services. The number of such Youth Centers in Morocco is currently 20, with a capacity of 2075 young people, of which 15 centers are for males, five female centers and two social work clubs. The ages range from 12 to 18 years. The Moroccan Kingdom’s current orientation, or what is called the national goal, is to achieve sustainable development in all its parts and involve all constituent groups of society. HAF has participated in many projects that places more importance on preserving the environment and supporting sustainable development, which is one of its most important goals. 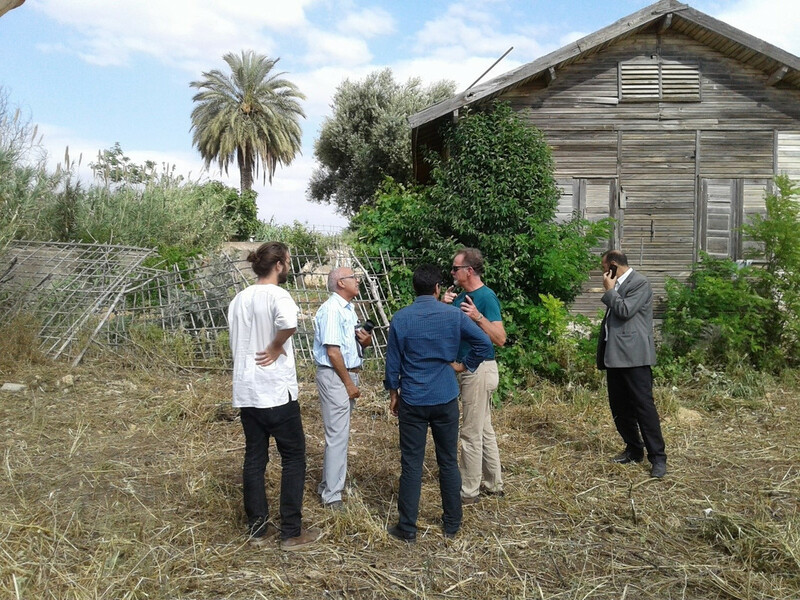 HAF is working with various partners to achieve such projects in different parts of Morocco. HAF is trying to involve local communities in the success of development projects. They aim to help a single human being, cooperatives, associations, or entire communities take on responsibility to develop the capacity to contribute to their own and their community’s development, by being involved in the decision-making processes, determining goals and pursuing issues of importance to them. The model that we have today is evidence of the efforts of HAF in various parts of Morocco and its different sectors. It has been more than a year since the start of this project, which was begun in order to integrate a certain category of Moroccan society into the development process, and which the Moroccan state seeks to achieve by involving all development actors. The High Atlas Foundation has partnered with a local association in Fez, the « Association of Volunteer Experts » in partnership with the Delegation of the Ministry of Youth and Sports in Fez and Meknes, and funded by ECOSIA. ECOSIA is a German search engine company which helps to plant trees around the world. 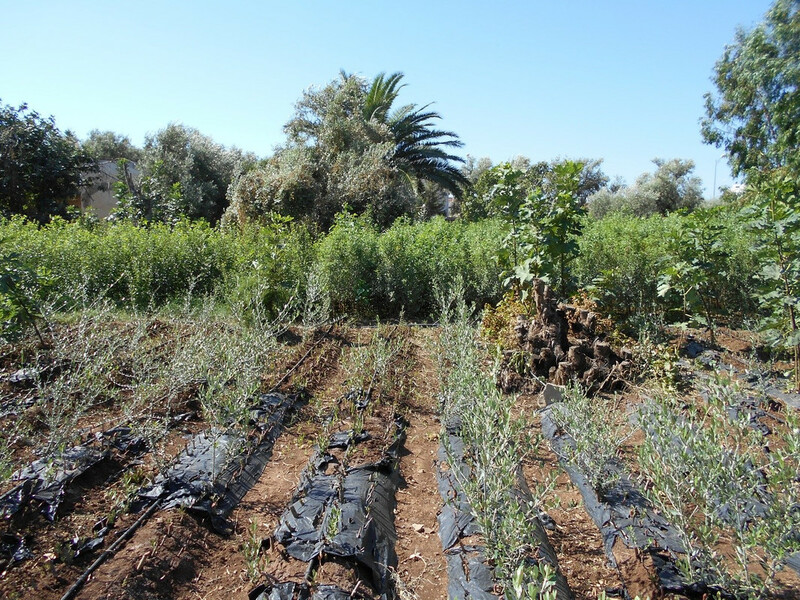 The objective of this partnership is to establish a fruit tree nursery that respects organic standards, producing different types of fruits that will be distributed to local communities in the Fez and Meknes region. The target of this project is not only to provide local communities with trees, but also to integrate the children who live in this center within the project, so that they can benefit from agriculture training and access more environmental education. Indeed, a group of these children have been involved in many workshops undertaken by HAF. The project has received approval and support from the Center staff, including the director, who is keenly aware of the importance of the project within the Abdelaziz Ben Driss Center, mainly due to the positive effects on the children who live there. It will provide another activity in addition to the rest of the activities and workshops that they benefit from, such as the metal workshop, the non-formal education ‘’school’’, and some additional workshops, which are often fixed-term. 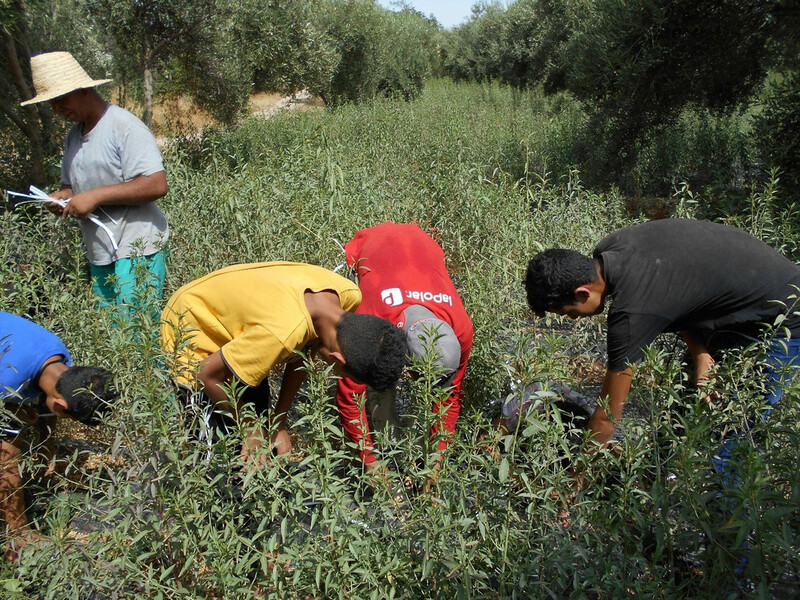 Therefore, they did not hesitate to support this project by all the help available to them, and following the process of the project together with the members of HAF, represented by Said Bennani, the Project Manager in the Fes and Ifrane region, as well as Khalid Naji, who is in charge as a nursery caretaker. The number of beneficiaries during the agricultural training sometimes reaches 15 children. Before they start the training, they are taught about agricultural skills and environmental issues. We introduced to them the role of this nursery in contributing to the development of some communities in their region, which are often dependent on agricultural activity as their primary source of income. The participation of the children from the center in this project allowed them to contribute to the development of their communities. The seeds we planted with them became seedlings that will be distributed to their families and their communities. 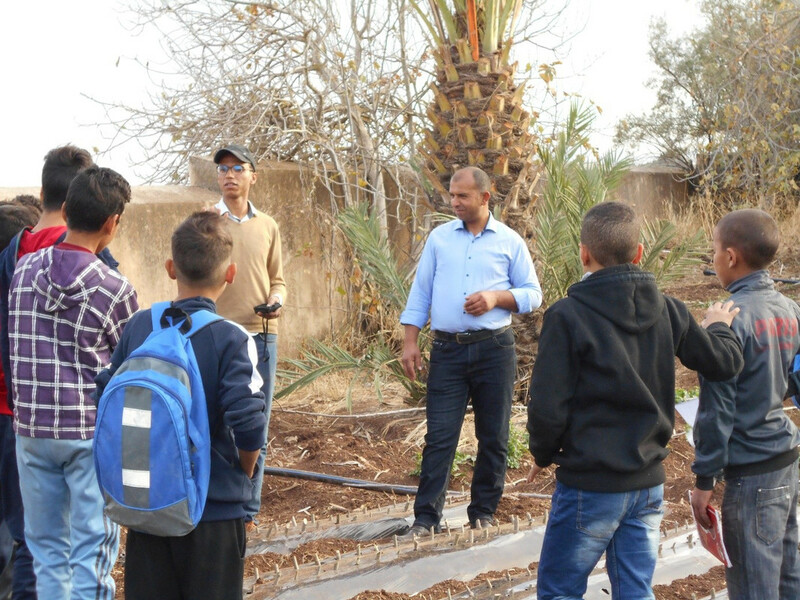 We are always coordinating with the staff from the Abdelaziz Ben Driss Center to involve children in this sustainable project, which produces fruit trees organically. When the children join us in the nursery, we seek to share new ideas and techniques that they can use in their future life. They are always happy to join us to check the situation of the seedlings and see what it is in need of attention, such as watering and weeding. Children ask questions about the reasons for using any method, and the purpose of each technique and other questions asked by them are answered by members of the High Atlas Foundation or the Center staff. The children involved in the project are becoming happier, as noticed when someone visited the center. They are constantly excited to demonstrate the change that took place after months, whereby most of seeds and cuttings grew to become trees. We often hear these words from them: « Look at the seeds and seedlings that we have planted, they have become big trees!’’. The Abdelaziz Ben Driss Center hosts children from different regions and cities, some of them who have grown up in rural areas. This means that they already have experience with some agricultural activities, such as the planting of trees on their farmland. When they are in the nursery workshop, they share the names of the local plants that grow in the center, and they often talk to each other about these plants and trees, and how they use them as medicinal herbs or as food for the sheep. As for those who attend the workshops and for whom it is their first experience with agricultural activities, it is sometimes difficult for them to understand what is happening in the fruit tree nursery. However, with more participation in the activities and workshops, it becomes clear to them the importance of each stage, that the seeds need to become trees. In this photo, we are talking to a group of children who represent many ages and backgrounds. They were given the opportunity to learn from each other, in coordination with the High Atlas Foundation team and the Abdelaziz Ben Driss staff. Involving youth in different activities and in creating more workshops helps them to have the opportunity to grow and develop a personality that can become an engine of fulfillment in society. The more training and workshops we organise for children in this situation, the more we contribute to transferring capacities to improve their living conditions. 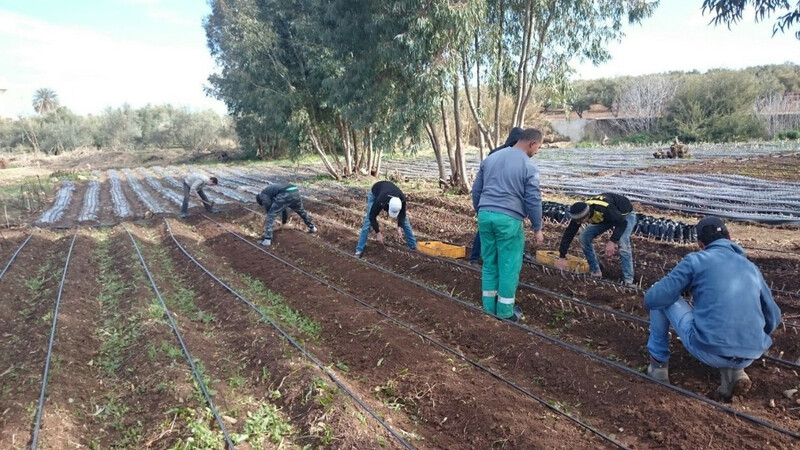 In another words, this kind of project (the development of a fruit tree nursery) helps to create a more active youth in Moroccan communities. Said El-Bennani is a HAF project manager in the Fes-Ifrane region.